Chibi Grimmily Anne is studying at the Monster High, so she needs a form. Help her to find out and choose the most stylish and cool form to make other students also want you to help them with the choice of the school form. Look into the chibi’s locker and you will see a lot of clothes. It seems that you can choose the best outfit for a long time and you will surely get something interesting. How to play: select a category of clothing with the mouse and drag the ones you like on Grimmily Anne. Played: 33039. Added: 18-11-2012, 11:39. 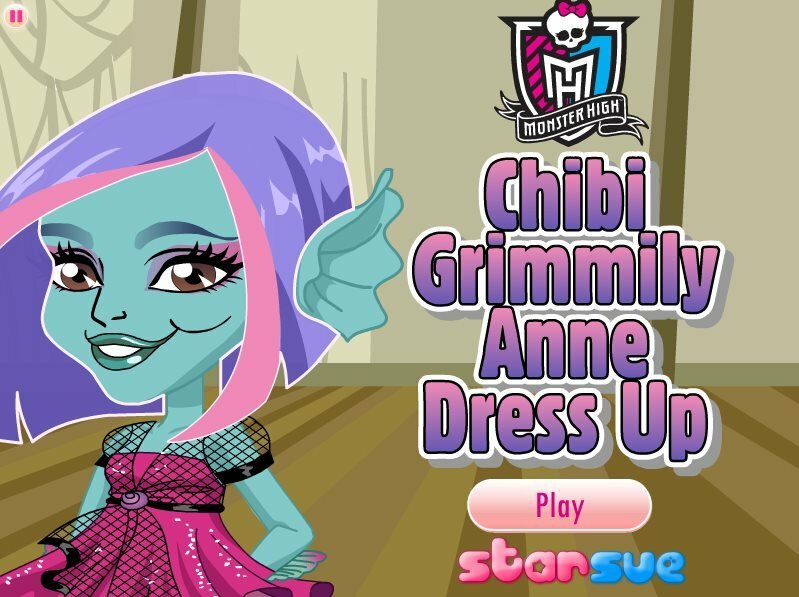 Chibi Grimmily dress up game.